More than a foot of perfect, powdery snow and still going strong. ...and have spent the afternoon watching Downton Abbey & catching up on our old New Yorkers. Stay warm today and stay homey! 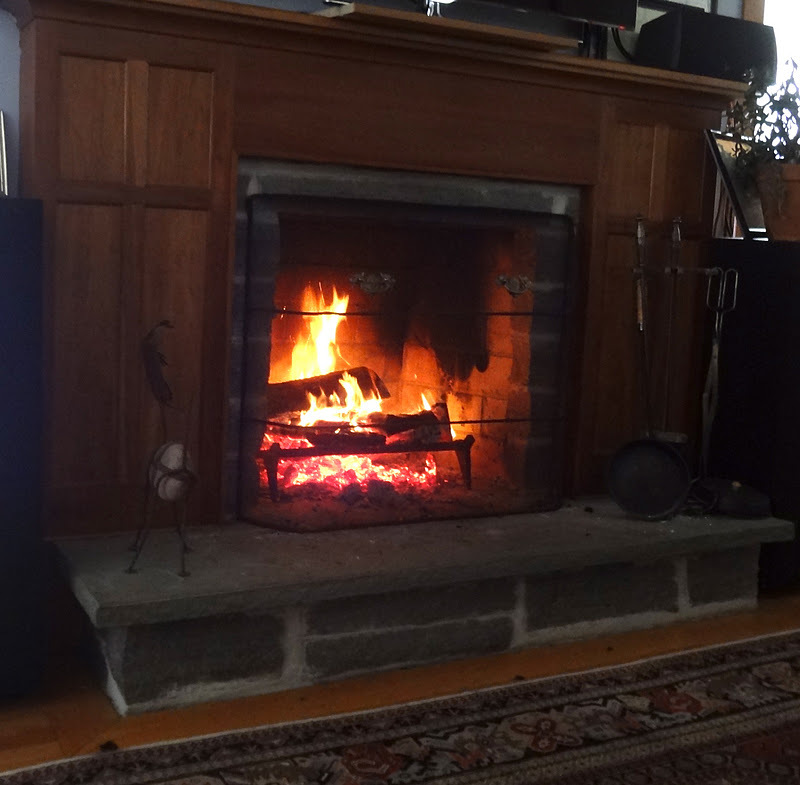 Snow, a roaring fire, grilled cheese, and Downton Abbey? Sounds heavenly! Have a lovely weekend! Snow! We don't get snow down here in Florida so it is so cool to see when everyone else gets it! I am a huge grilled cheese fan on top of it all! Sounds like you had a wonderful day! Ah! Lovely. We did this too today, except there is just ice where we are, no snow. Your pictures looks so cozy. Love your blog, too!